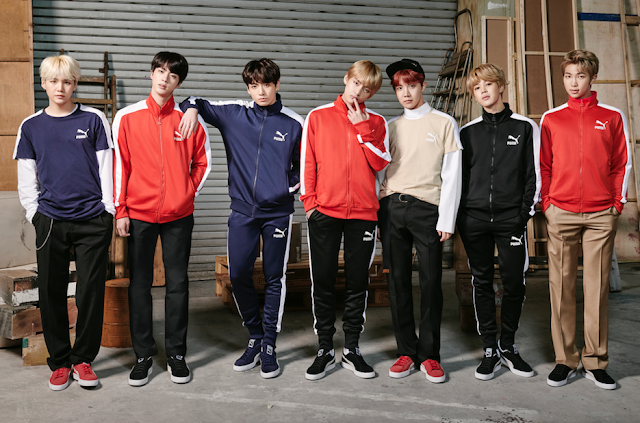 GOKPOP | Exclusive K-News in Malaysia & Singapore: PUMA x BTS New Sportstyle Collection Releasing in Korea this Spring, Worldwide this July! PUMA x BTS New Sportstyle Collection Releasing in Korea this Spring, Worldwide this July! Global Sports Brand, PUMA announces it's partnership with world-renowned pop music icon BTS. The global young icons have partnered with PUMA in South Korea since 2015 on brand campaigns and product collaborations. This year, together with PUMA, BTS will be releasing the collaboration product worldwide, which includes a remix of the class PUMA Turin and stylish sportswear basics. 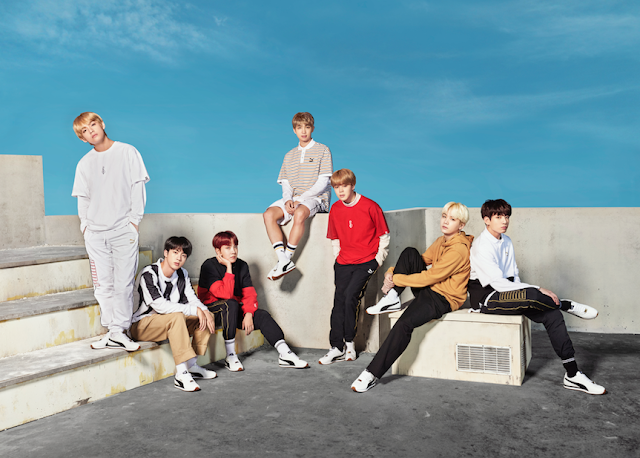 PUMAxBTS collection will be first available in Korea this Spring, with other regions following up later this summer. In addition to the creation of PUMAxBTS collection, BTS will be featuring in PUMA campaigns this year for the Sportstyle range, which includes classic PUMA icons such as PUMA Suede and T-7 Track Suits. 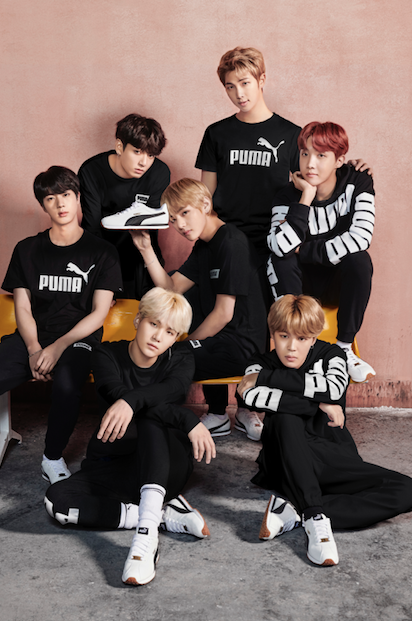 BTS has been a great partner for PUMA and their innovative spirit, authenticity and creativity sync perfectly with the PUMA DNA. The PUMAxBTS collection will first hit stores in Korea this March and roll out globally in July. To catch more about PUMA and BTS, follow @PUMA on Instagram, Twitter and Facebook. BTS won the ‘Top Social Artist’ last year at the Billboard Music Awards, one of the top three music awards in the United States, surpassing world-famous artists. They were also officially invited to the American Music Awards (AMA) to perform on stage, being the first K-pop group to do so, increasing the reputation of K-pop music and culture. In addition, they released the remix album 'MIC Drop' last November, making it to 28th place on the 'Hot 100', the Billboard singles chart, in the United States, which is the top record for a K-pop group.